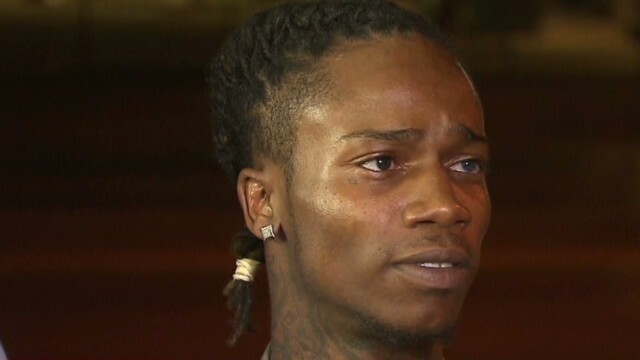 CNN’s Don Lemon talks to Dorian Johnson the young man present when Michael Brown was shot. He spoke about Michael Brown’s funeral and the investigation into the death of his friend. DON LEMON, CNN ANCHOR: We’re live in Ferguson, Missouri. Dorian Johnson is a young man who was with Michael Brown when he was fatally shot by police officer Darren Wilson. He joins me exclusively tonight, along with his attorneys, Freeman Bosley Jr. and James Williams. Thank you all for joining us and for doing this tonight. And everyone has been wanting to hear from you after your eyewitness testimony, but also on a day like today. You went to the funeral. How you doing? How was it? A rough day? DORIAN JOHNSON, EYEWITNESS: It was tough. Yes, it was real tough. I broke up a lot, broke down a lot. But, thankfully, there was a lot of people that comforted me, that showed me love, his family, big Mike’s family that showed me love, everybody else, the rest of the supporters. They have been showing me love and they have been trying to help me through this rough time that we’re going through. LEMON: I was talking to his relatives earlier, talking about some of the criticism that he’s gotten, “The New York Times” article that was written. Today, we heard a lot of good, we have heard a lot of bad. What kind of friend, what kind of person was big Mike, your friend? JOHNSON: Well, I heard a lot of things, too, and it really saddens me. It strikes me down in my gut that they would try to throw salt on this man’s name after he is deceased like this. And, to me, we was around each other. He was a good friend, never spoke down about anybody, didn’t really tease anybody about being smaller than him, because he was bigger than a lot of people we were around. He was a real good friend. He didn’t like to see other people down. LEMON: You have spoken to the family? JOHNSON: Yes. I spoke to them. LEMON: What did you tell them about that day? JOHNSON: We loved him very much. We spoke about him, that we loved him very much. LEMON: Did you tell them about what happened that day? JAMES WILLIAMS, ATTORNEY FOR DORIAN JOHNSON: Don, I’m sorry, not to cut off, but I do just want to say, because Dorian has been cooperating and speaking with the FBI, we can’t really get into the details of what happened that day. We can certainly talk about some of Dorian’s experiences, but, if we could, because, again, this involves a federal investigation, we would like to stay away from the details. LEMON: Well, I’m not asking him the details. But did you speak to the family about what happened that day? I’m sure they wanted to know and that would offer them some comfort about what happened. After the family was getting no answers from the police force, I did tell them what happened. Is it — you have gotten a lot of — and, listen, I think people — you have gotten a lot of criticism and you’re having to deal with that. A lot of people are questioning your credibility. You understand that. LEMON: Do you understand why? JOHNSON: I really don’t understand why. I see they bring up my past, my history, but it is not like a long rap sheet. This one incident shouldn’t make me a bad person. I was a college student at the time. I was enrolled at Lincoln University. It was my freshman year. I was around a bunch of kids. It wasn’t — the incident didn’t just happen with me. There were some other kids involved in this. And I was never charged of the crime at all. LEMON: So people — so this filing of a false police report or what have you that they said that you did, so you don’t think this has any bearing on you telling the truth about what happened that day? FREEMAN BOSLEY JR., ATTORNEY FOR DORIAN JOHNSON: … things about that, though — and I’m sorry — is, what we’re really dealing is whether police used excessive force when this man shot this young man down. And people are trying to drag the issue of the false police report into this. LEMON: Well, that’s why I want to ask him about it, because you say it is a red herring. And that’s what I’m trying to get out of you, whether he is — whether he understands that people think that he is not credible because he did the false police report, he didn’t tell them about what happened at the convenience store, that, apparently, you guys were stealing cigarillos. There’s videotape. WILLIAMS: And let me just say this, Don. Excuse me. You know, again, whatever happened, stealing cigarillos is not a capital offense in Missouri. Having a past where something happened, whatever it was — we’re talking about a backpack in college — is not a capital offense in Missouri. So we really don’t want to focus on — particularly on a day like today, we don’t want to focus on these things. We want to focus on the memory of Michael Brown, what kind of friend he was, and that the tragedy that has happened. LEMON: I don’t disagree with you. I think everyone understands that. But everyone wants to get some sort of understanding of what went on and why — why he didn’t say that in the initial interview with CNN. You said he was forthcoming with the FBI and everyone he’s been interviewed with. That’s what I’m trying to get at here. BOSLEY: See, that’s like — the media doesn’t quite understand, or maybe they do and don’t care. The duty was not to the media. The duty was to the FBI and authorities, the Department of Justice, the representative from Bob McCulloch’s office. Full disclosure right up front. Spent three hours with them. So, we didn’t necessarily feel compelled to have to tell that story to the press. LEMON: You have been watching, I’m sure, a lot of media. Right? LEMON: Have you heard the account of what the officer said as to what happened? JOHNSON: I never seen the officer one time say anything at all. I have heard a third-person view of what he might have said, but I can’t say he said it because we never heard his voice. LEMON: And that third-person view saying that he — that big Mike charged the officer, that big Mike had a scuffle, that big Mike hit him in the eye, knocking out his eye socket, what do you say to that? JOHNSON: I really can’t — can’t comment on that right now, because, like they said, I’m under investigation. So, anything regarding the case, I can’t really talk about right now until furthermore — anybody let me know. WILLIAMS: And let me be clear. He is not under investigation. LEMON: He’s a federal witness. I understand that. BOSLEY: He’s a federal witness. LEMON: Do you — is there anything that you would have done differently that day? JOHNSON: Honestly, Don, that day was like a regular day. If I had known what would have happened that day, I would have just stayed in the house, probably the same thing, told him to go back in the house. If I knew he would have died that day, I would have told him to stay in house. LEMON: And you wouldn’t have — you wouldn’t have left the house either? JOHNSON: I wouldn’t have left the house neither. LEMON: If you had to do that CNN interview all over again with Wolf Blitzer, would you have told him about the convenience store? JOHNSON: I didn’t feel it was relevant at the time, so much as, why was it a dead person laying in the street uncovered? LEMON: And how long was he laying there? JOHNSON: Like they said, at least — I can’t give you a specific time because I was still in shock, because everyone keeps calling me a witness. And they are trying to misconstrue the fact that I am also a victim. I was not just standing feet away from big Mike. I was standing side by side. I could have been shot just as well if I didn’t duck for cover. LEMON: Is he going to testify before the grand jury? BOSLEY: If he’s called, if he’s called. And he’s available. As of this moment, nobody has called us. Not been contacted. LEMON: So, the family and — can the family rely on what you said for comfort, do you believe, what you have told investigators? JOHNSON: I believe the family is 100 percent comfortable with the story I have and what I told them what happened and everything I’m saying. LEMON: What would you say to big Mike? I know that I talked to his mom, sadly, asked her — and she said she talks to him, especially when it rains. She feels his presence and she talks to him. JOHNSON: Yes, he was my friend, a good friend. Even in — after he’s injured, he is telling me to get to safety. That’s all I think about, all I hear in my — my head. And that’s all I know, that he was a good person. And he cared more for someone else than himself. LEMON: What do you say to people who are either calling you or portraying you as a thug, a liar, as someone who had a — as someone — a robber? What do you say? JOHNSON: People have been called way worse names. It is not nothing that don’t happen every day. I’m 22 years old. I have been in Saint Louis, Missouri, all my life. Name-calling doesn’t affect me whatsoever. LEMON: You were very courageous to come on national television live and do this. So, thank you. I appreciate you coming on. JOHNSON: And can I say one more thing? JOHNSON: The service was beautiful. I enjoyed every bit of it. It brought me to tears, but I love everybody that came out and supported us. Thank you so much for coming. And thank everybody for coming out and showing the family love and support, because they really need it. We all need it. This, it got to change. Thank you, Freeman. We appreciate it. WILLIAMS: All right. Take care. Thanks. LEMON: Best of luck to you guys.